Although there have been fascinating advancements in a computer’s ability to produce the sound of a piano, nothing is quite as enjoyable as learning to play an actual piano. Due to both cost and space constraints, most students will opt for an upright style, which is the best style one can learn on if they are just exploring the hobby. It will not have the shocking price tag that a grand piano or exceptionally fancy electric keyboard will have, and it is easier to fit against the wall of a room, whereas a grand style pretty much requires the whole room. Some piano masters who favor the grand piano will say that it is far easier and faster to learn on a grand piano, because a vertical piano has the limitations of vertical action, which limit the keys' ability to repeat quickly, and limits the actions of the pedals, but a high-quality build of an upright style, its soundboard, and numerous other moving parts can nearly match the sound of a baby grand. When learning to play an upright, you should first consider learning about the different components inside the piano. This will help you define how and why it produces the sound it does. Next, source out a master pianist for a teacher. 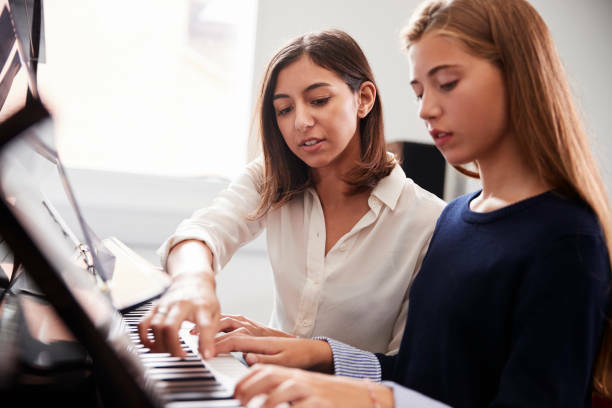 You can dabble in piano learning programs if you can't dedicate your time or financial resources to lessons, but a pianist with years of experience will be most knowledgeable and can help you learn to play your upright piano properly.